007811909X -This text brings together Stumpf and Fieser’s Socrates to Sartre and Beyond with an updated anthology of readings in one volume. 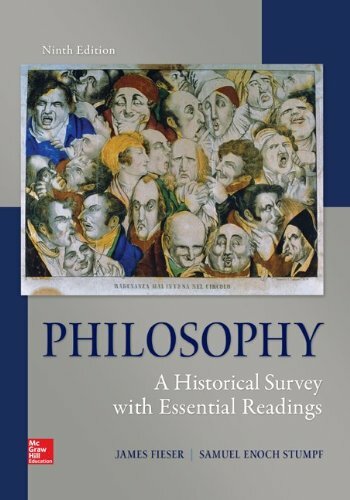 It offers an accessible historical survey of philosophical ideas and a wealth of primary source readings at an excellent value. The text is a comprehensive, historically organized introduction to philosophy which communicates the richness of the discipline and provides the student with a working knowledge of the development of Western philosophy. With a lively and approachable style it covers the principal contributions of Western civilization’s most influential philosophers. The chronologically organized reader features a wide selection of readings of both Western philosophy and Eastern philosophy.